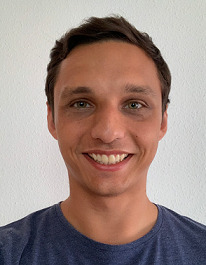 Stefan Löckel joined the Intelligent Autonomous Systems Group as an external Ph.D. student in cooperation with Dr. Ing. h.c. F. Porsche AG in April 2018. In his Ph.D. research, he is working on the modeling of human car drivers. Prior to this, Stefan received his Bachelor degree in Mechatronics from the DHBW Mannheim and his Master degree in Electrical Engineering from the Technische Universität Kaiserslautern.